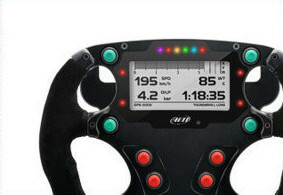 Welcome to Aim TechnologiesAim Technologies are providers of world class Motorsport data loggers, Dash Loggers, vidio Cameras, and Racing Lap Timers. As experienced racers ourselves, we understand what competative sport and what data you need to win races. 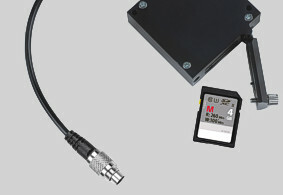 Our products designed for most sectors of motorsport. 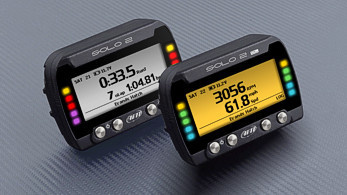 The new GPS08 Module, included in all kits, receives data from two satellites constellations: GPS and GLONASS, updated ten times per second.This guarantees great rapidity in locking the signal after switch-on and an extraordinary precision, which permits to sample lap times with a max. 2/100 second tolerance. 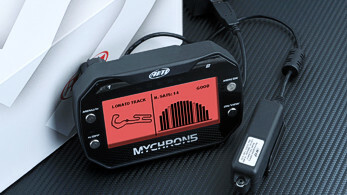 So even the predictive lap time will be much more reliable: in any moment of your race, you will know your time gap vs. your best lap with absolute precision.Additionally, GPS08 samples position, speed and lateral/in-line acceleration at any point of the track: all the data needed for a precise evaluation of vehicle and driver behaviour. Each AiM system can rely on a database of almost two thousands tracks all over the world, constantly reviewed and enriched by Aaron Harris, so as to be always updated. In the past Aaron Harris Motorsport have used lots of Dashes, Motec Dashes, and Motec ECU, Back in the early BMW days we had a PI Dash, we liked these at the time but technology has moved on. Alfano Dash make a good Alfano datalog but the new Mychron5 is a whole step further, and now become the industry standard.